If you’ve been reading a while you’ll know that cruelty free and ethical goods are high priority for me when shopping – and its only recently that I realised that cruelty free extended into the realms of handbags. I know clothing can be ethically sourced etc, but I never considered the possibility of high-end and specifically vegan accessories until a few months ago. In my naivety I assumed that vegan bags would be largely made of hemp, multi-coloured by nature and a slightly carpet-like in texture. I wasn’t holding my breath for style – but thankfully I was wrong, and it’s totally possible to stay stylish and cruelty free. You no longer have to choose between ethics and aesthetics. Today I’m sharing my first venture into the world of vegan leather designer handbags, and the brand at the epicentre; Matt & Nat. I recently ordered the Parabole shoulder bag in black and I’m absolutely thrilled with it for so many reasons, the least of which is that no creature was harmed in the making of it. 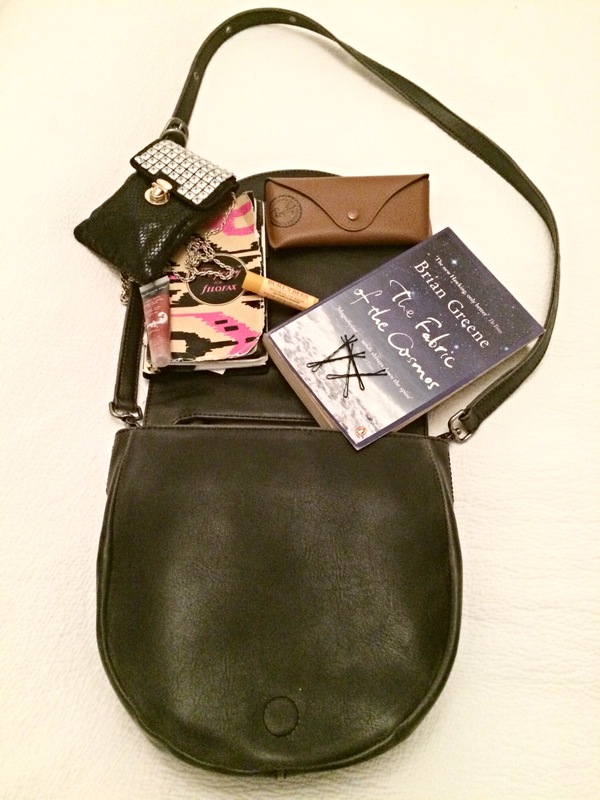 As you can see it fits the book, sunglasses, lip balm, bobby pins, purse and planner – with space for the iPhone which took the photo. 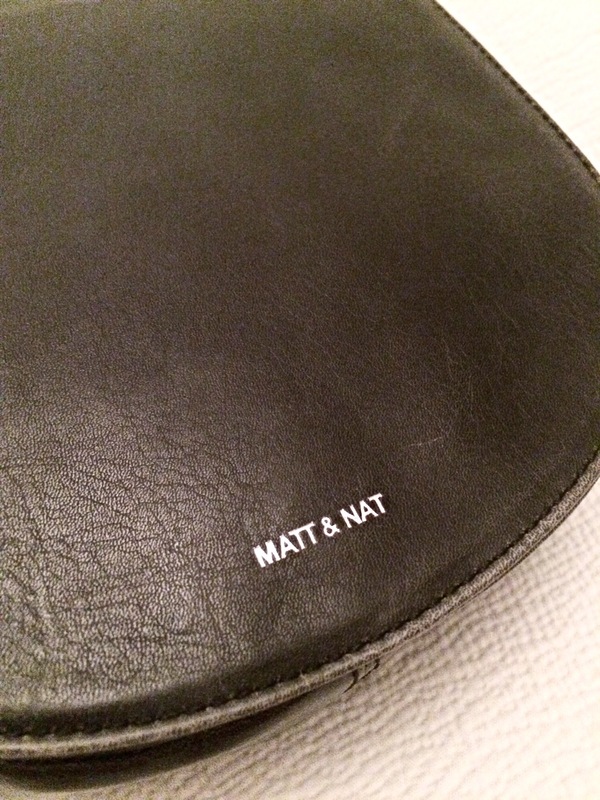 The shade black isn’t too stark which gives a lovely vintage vibe, and the tiny, silver, monogrammed “matt & nat” branding makes it look very chic indeed. The silver matches the hardware of the belt-style adjustable strap, which came set to the perfect length, but is also removable to transform it into a grab bag. 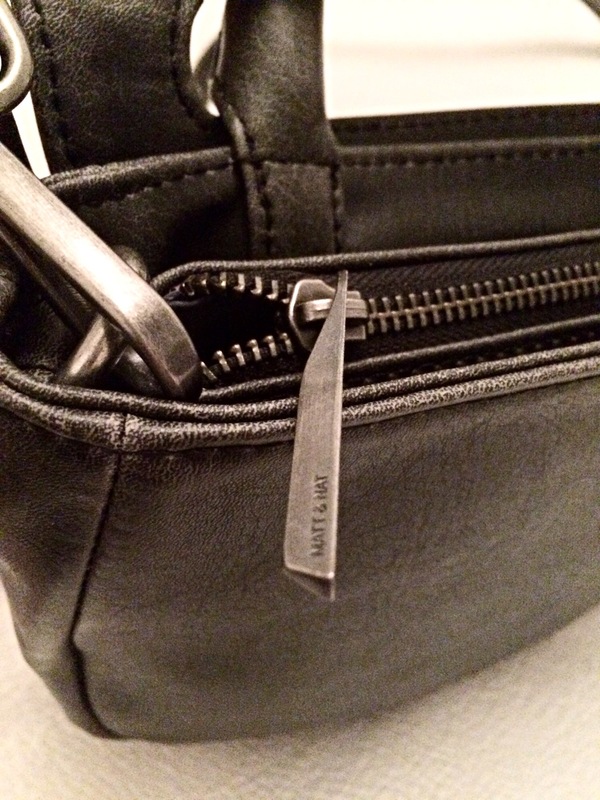 It has a magnetized flap and zip-centre for extra security along with a concealed inner zip pouch for whatever they’re used for (bobby pins, 2p coins) – and one of my favourite things is the lining. It’s not cotton or anything, but I was expecting that awful plastic sort of lining, but its made from 100% recycled plastic bottles and actually feels very soft indeed, but is clearly wipe-clean which is handy for me because I spill everything, all of the time. So, how does it hold up in terms of quality:price ratio and as a leather alternative? Well, I paid half of the RRP at £45 but I don’t think I’d be disappointed if I’d paid £90 (if that was within my bag budget). For a high end brand and style, £90 is very reasonable especially since the quality is very good – the bag has that soft, buttery texture you associate with Mulberry, but with the clean conscience of a Bag4Life. In short I’m delighted with it, and despite not really being a bag person I think I’ll enjoy exploring Matt & Nat designs more! 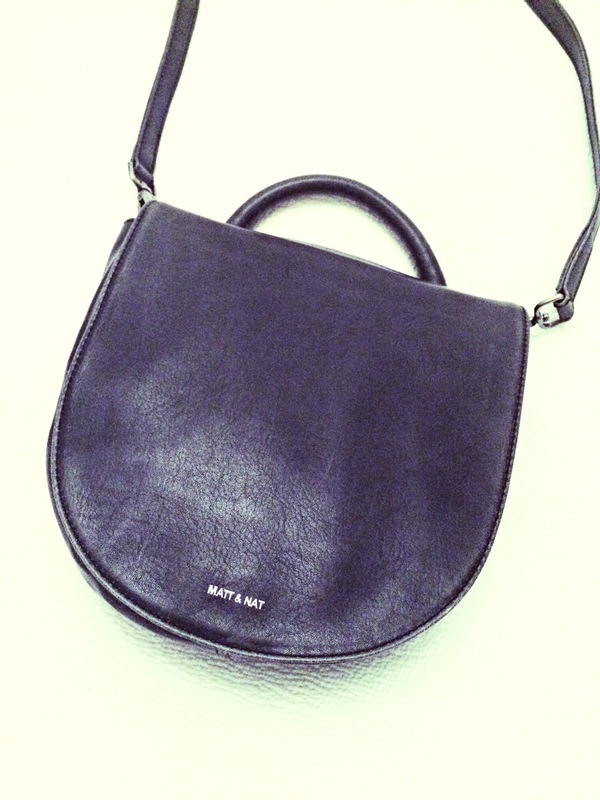 Do you have a favourite handbag brand? Have you tried any others which use vegan leather? Nice. I like buying my Matt & Nat bags at http://www.grapecat.com They have the Jorja Large and Lucy that are sold out on the Matt & Nat site. ← Are Homebirds the New Party Animals?